Nintendo always makes great games. There is no getting around that, but the reason its games are so good is because they take forever to make and tweak them to perfection. These staggering development phases lead to huge gaps within the Wii U's release calendar, giving gamers the impression that it doesn't have enough software to warrant a purchase. However, Nintendo seems to have found an answer for this problem: spin-off titles. This year saw the release of Hyrule Warriors, a light action game created in the molds of both The Legend of Zelda and Dynasty Warriors. It proved to be fairly successful for the company, and during its financial Q&A, Nintendo Senior Managing Director Shigeru Miyamoto suggested to investors that more games like it might follow. "Our theme today is how effectively we can materialize our experiences to commercialize our products. This is something I often internally refer to as 'spinoff software,' but while we make use of our major game franchises, we want to support our character IP and increase the number of games we develop and release by also creating relatively smaller-scale but fun to play games. We're making preparations to release software within a franchise so that fans of the series will not need to wait for, say, three years in order to play a new experience in that franchise." It's all well and good, I suppose. 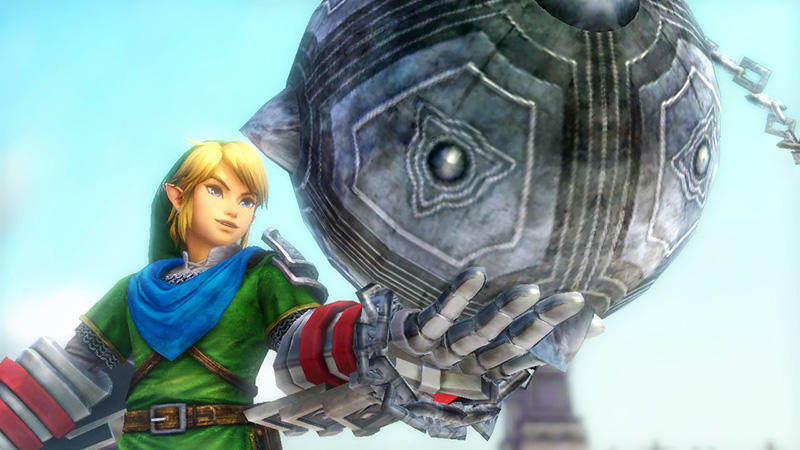 Hyrule Warriors was met with a lot of enthusiasm and mid-tier critical results. I wouldn't call it a horrible game by any means, but the level of quality between it and a typical game that has run the gauntlet of Nintendo perfectionism is all too obvious. Miyamoto also suggests it will work with more outsourcing. "Finally, even when creating our own franchises, we have been working with a number of outside companies. Looking at this year alone, we have started to work with second- and third-parties that we have not collaborated with before. Since we can collaborate with an increasing number of outside companies, we are now making progress to develop a number of games that will become key software for us. I have a solid feeling that Wii U will have a rich software lineup in 2015. We will do our best!" Times certainly are changing, but Nintendo is obviously doing everything it can to adjust to the gaming world. Japanese companies outsourcing to cheaper Western studios has been a huge issue over the last few years, and it hasn't always led to the best results. Capcom tried it on more than one occasion, and it is still still feeling the wound from the poor critical and financial reception of these games. Nintendo has always done a better job in choosing these partners with Next Level Games for Luigi's Mansion: Dark Moon and Punch Out! !, Rareware and its Nintendo 64 days, and of course Retro Studios for Donkey Kong Country Returns and Metroid Prime. It also has a history of partnering with other big companies from its own country of Japan, so I think it knows the ropes of how to ensure quality from beyond its halls. That being said, there is a much deeper feeling you get when playing something by Nintendo and something by another company. When playing Super Mario 3D World, every single element falls into place, and every single level feels like it was tested to perfection to maximize the fun. Hyrule Warriors, developed by Koei Tecmo, doesn't have that feeling at all with lots of down time and moments of frustration beyond your control. I don't mind this course of action, but only if Nintendo plans to keep it in check.